One of my favorite times of the month is when the theme for Bread Baking Day is announced. The next favorite time is when I find an appropriate recipe and make it happen. I found just the right recipe for this challenge -- a bread made with cottage cheese (curds) and dill. While the original recipe called for dill seed, I used dill weed. It gave the bread a mild dill flavor, pleasant but not too crazy. The cottage cheese provided a lovely moistness and texture. Ready for the final rise. I put the loaf in the oven when it was about 3/4 inch above the top of the pan. I solemnly swear it was still symmetrical at that point. However, that's not how it came out of the oven. Just what in the heck happened in there while the bread was baking? The oven fairies were out in force. No matter. It may have looked funny, but it tasted delicious. I'm certain that I will make this again, only I will form it into rolls instead of a loaf. The dough just calls out for that kind of shape. This month is the 40th Bread Baking Day, and it is being hosted by the beautiful and gracious founder, Zorra. 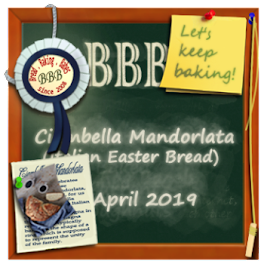 This truly is one of my most favorite baking/bread events, so be sure to stop by Zorra's blog in several days to see the BBD40 Roundup. Place all the ingredients into a bread machine according to the manufacturer's directions. Select the manual cycle, then push the button. When the dough is ready, remove from the bread machine, shape as desired, and let rise for about 45 to 60 minutes, depending on how cool the room is. Bake at 375 degrees F. for 40 minutes, or until the internal temperature is about 190 degrees F. Cool before slicing or eating. And it's also from a bread machine recipe book too. We could be twins! Your loaf looks great, I think the dill weed is a better choice than the seeds. Wonderful loaf, and I have to confess I probably prefer the dill weed. Regarding the shape of your bread, perhaps you should give it a longer second rise. Nevertheless it looks great. 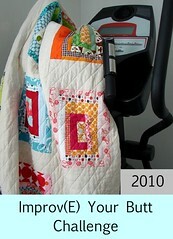 And thank you for being such a loyal BBD participant!